Fat Burner (TM) is infused with a powerful mix of Herbal extracts providing a potent combination of fat metabolizing ingredients with super antioxidant protection. 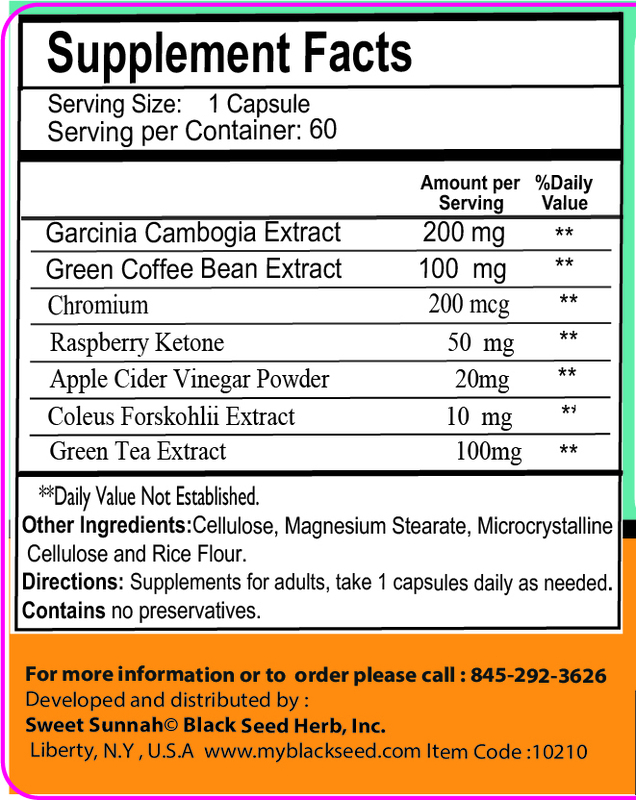 Take 1 veggie capsules daily with a light breakfast to help accelerate your body's natural fat burning process. One month supply. Allow several weeks for full benefit. The use of natural products provides progressive but long-lasting results. In June I wieghed 300lbs. and I started taking the Fat Burnere and continued throughout the summer. this September at my last check up I weighed in at 250lbs. I am on my way! This product really works. I've taken this product and it really works, I didn't weigh myself to see how much I have lost but I felt great and I liked what I saw. I am mainly concerned with my appearance rather than the number.. The pills instantly start working and you feel a difference right away. I stopped snacking as much, I was able to control my portions because I would get full faster, my metabolism increased ALOT, and I barley worked out so this time around I am going to add in the excercise to see even BETTER results. I reccommend this to all! !